Mutton Bird Oil is one of the most concentrated Sea Foods available for Medicinal Purposes. With a high percentage of vitamins A, D and E. It also contains mostly Polyunsaturated Fats, which enables it to Lower Cholesterol in the Body, Reduce Blood Pressure and the Risk of Heart Disease. Mutton Bird Oil is Rich in Iodine, Phosphate, Zinc and Calcium. The Iodine in the Oil, stimulates Growth, increase's Weight, and has a Beneficial effect on the Reproductive Organs. The Calcium in the Oil produces healthy Flesh, Bone Muscle and good Teeth. Mutton Bird Oil has a range of use's, from Growth Stimulation in Snakes, to the Oils capacity to develop Stamina, used by Athlete's and Race Horses. It is also used as a Stock Food for Poultry and Livestock and used in Drenches for Sheep and Cattle, if added to Milk, it will Prevent Scouring in Young Calves. Mutton Bird Oil is an Oil extracted from Young Mutton Birds. The properties of the Oil, come from the Mutton Birds Diet. The Adult Birds skim the ocean collecting Krill to take back to their Young, back on land in the Bass Strait Island's off the Tasmanian Coast. Krill are tiny sea Organisms which secrete an Oil 250 times Richer in Vitamins than Butter Fat. The Parents set out on their Migratory flight to the Arctic Region, leaving the Young Birds without food for about 14 Days. An outside covering of fat and the ball of fat in its crop Nourish the chicks and enable them to build the Stamina necessary to follow the Adults on the 15000 Kilometer flight. Some of these Young Birds are Harvested, the Oil is squeezed from the body before the flesh is Processed. The Oil is not subjected to heat or any chemical means of extraction. The Chapel Island Tiger Snake is the Biggest Tiger Snake in Australia. The Chapel Island Tiger Snake's Diet consists of only Young Mutton Birds, available only 6 weeks of the year. These 6 weeks of Feeding on the Young Mutton Birds enables the Tiger Snake's to go for the Rest of the Year without Food, and still maintain an extremely Healthy Weight. Dosage: 5 ml per Kilo of Snake. Injected into Dead Food, every Third Feed. This is the minimum Dosage rates, increase the rates as you go. No Deaths have been reported on over dosing of Mutton Bird Oil use. 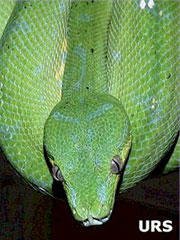 Packaged by: Ultimate Reptile Suppliers Pty. Ltd. South Australia.